In this week’s edition of Maverick Spotlight the inSIDER features Tessa Voss. 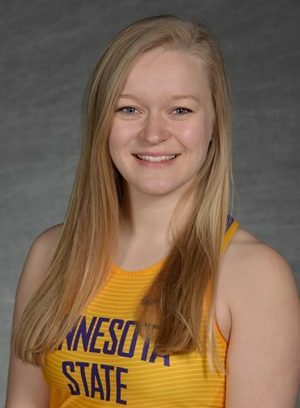 Voss is a native of Foley, Minn., and is a senior on the Women’s Track & Field team. One of her most notable accolades is having the best pole vault of 10’11.75” at the SDSU Indoor Classic in 2016. Let’s put Tessa into the spotlight. The three words that best describe me are dedicated, nerdy, and goofy. My biggest pet peeve is when people don’t listen to what was said, and then ask a question that was answered a second ago. If I were the only human left on Earth, I would probably be trying to figure out what happened to everyone else. I think most of the dumb things I’ve done have not turned out well! 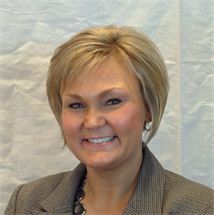 My all-time favorite sports start is the pole vaulter Sandi Morris. My most prized possession is my photos from over the years. Three items that can always be found in my refrigerator are milk, cheese, and Frank’s Red Hot sauce. My go-to band is Maroon 5. I can always find a song of theirs that I want to listen to. Hidden Figures most accurately describes my life, since I will be graduating with a degree in engineering. 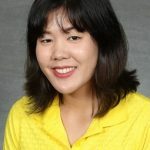 As a woman I have and will have many obstacles to overcome in this male-dominated field. I don’t really believe in luck. I think everything happens for a reason. However, I would say I’m pretty lucky to have been blessed with such a great support system of friends and family. I don’t understand what it is about the Kardashians that has everyone talking. If all jobs had the same pay and hours I would still like to be an engineer. I need to have a job that will challenge me. My family inspires me to be better. My older brothers are great role models who inspire me to be the best I can be, and my younger siblings inspire me to set a good example for them. Never again will I move to a new apartment, in a city where I know no one, while being on crutches. Those were the most difficult weeks of this past summer! I refuse to watch the show Letterkenny. Their accents drive me crazy! If I could have a super power it would be to fly. If I won the lottery, the first thing I would do is pay off all of my school debt, and then bring my family and close friends on a vacation. I prefer to sing upbeat ’80s and ’90s music in the shower. The thing that I like most about Minnesota State University, Mankato is the campus. I like that everything is centralized, and you don’t need to walk too far to get across campus. Students at Minnesota State University, Mankato may have been tuned into an NFL game over the last few years and heard the name of one of their own. Chris Reed is one of two former Maverick football players now in the NFL. 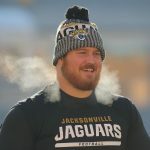 This offseason, Reed signed a one-year contract with the Miami Dolphins after spending the first four years of his career with the Jacksonville Jaguars. Football may have led Reed to a professional career, however, in Track and Field, Reed was a record breaking athlete. Some of his achievements include being an 11-time NCAA DII Track & Field All-American and NCAA DII champion in outdoor shot put (2014 and 2013). Reed’s journey to the NFL wasn’t an easy one. After starring in both football and track & field at Central High School in Omaha, the Nebraska native took his talents in both sports to MSU. Chris Reed showcasing his athleticism on the football field and the shot-put for Track & Field. 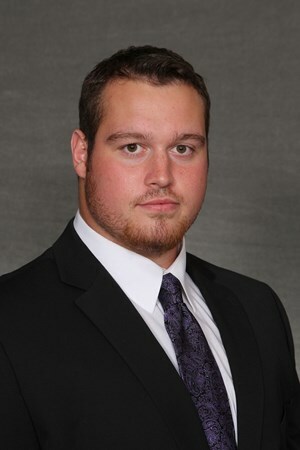 On the football field, during his senior season, Reed was a part of an offensive line in 2014 that helped rewrite offensive record books as the Mavericks finished the season 14-1 with a Division II National Championship Game appearance. Reed was Selected as a D2Football.com First Team All-American, NSIC South Division All-Conference First Team Offense and the Don Hansen All-Super Region Second Team Offense. Chris took the time to answer a few questions. Let’s dive in. Q: What are some of your greatest memories from your time at MSU? A: The whole college experience was awesome! I met my wife at MSU and got to participate in my two favorite sports. Some of my favorite memories were hanging out with my friends in the old Gage Towers, relaxing after a hard practice in the locker room with my teammates, Track & Field trips to California, and of course game days and track meets. Q: What were some of the challenges you faced being a two-sport athlete in college? Would you have any advice for athletes seeking to play multiple sports in college? A: Taking care of my body and time management were the two biggest challenges. You don’t have a lot of down time between sports. If you want to do two sports work on your time management, keeping on top of schoolwork, stretching, eating right, and allowing some time for yourself are all important. Also having goals for each sport is important to keep you on track. Q: What did your time at MSU do to help you prepare for becoming a player in the NFL? A: It gave me the tools I need to make it to the next level. The coaches helped me learn the game and how to play it with grit. 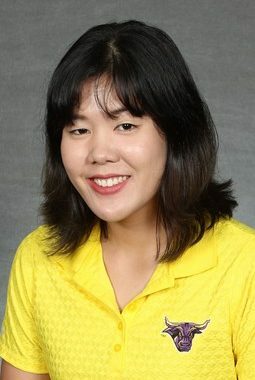 The Sport Psychology program really helped me develop a positive mindset. Tom Inkrott and the weight room staff were always there to push my teammates and I to be stronger and faster than the competition. Q: How were you able to get into the NFL? What did that process of going from college football to the NFL look like for you? A: Initially I just wanted to play football. Around my sophomore year I was told that I had some potential to play in the NFL, and it then became a goal. Scouts came from a lot of different teams my junior and senior years. After the December 2014 season I signed an agent and started the process. I wasn’t invited to the Combine and had to train for a Pro Day up in Minneapolis. I spent two months driving to Minneapolis four days a week to work out at Game Face Elite Training and work with Bill Welle both of which helped me immensely for the Pro Day. After the Pro Day, I had some teams call and just talk to me to find out more about me as a person. I watched the draft with my now wife and parents in our Quads apartment. I got a couple calls during the draft, but didn’t end up getting drafted so after it was done, I received a call from Jacksonville and signed with them. 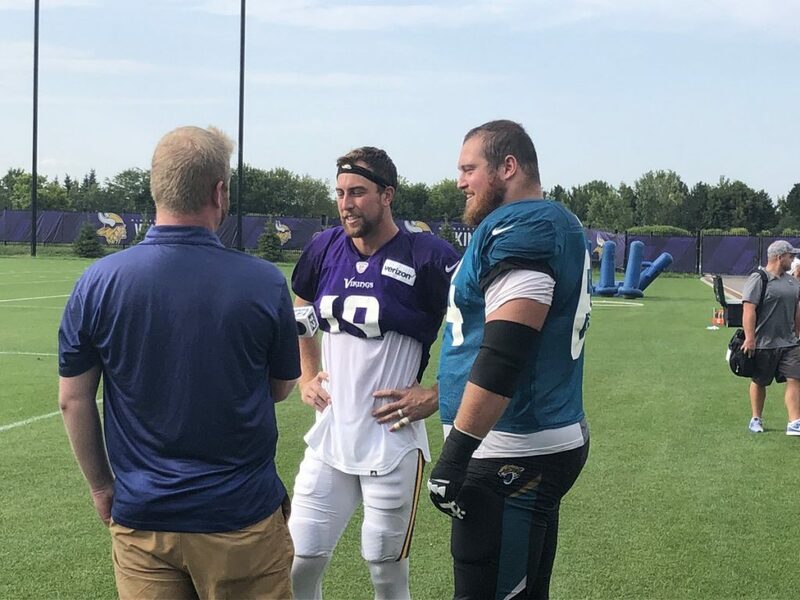 Chris Reed and Adam Thielen gathering for an interview with a local (Mankato) news reporter after a joint practice between the Minnesota Vikings and Jacksonville Jaguars in 2018. Q: Both you and Adam Thielen made it to the NFL from MSU. What do you remember about being teammates with Thielen during your time as Maverick football players? A: I remember how great of a person and leader he was for our team. It seemed like he caught everything that was thrown to him. It was fun to watch. One of my favorite memories of him playing was when he returned an onside kick back for a touchdown. Adam has worked so hard and his success is well-deserved. Thank you to Chris for taking the time to answer these questions. Hopefully this brings some intriguing insight into a Maverick that has gone onto play their sport professionally. 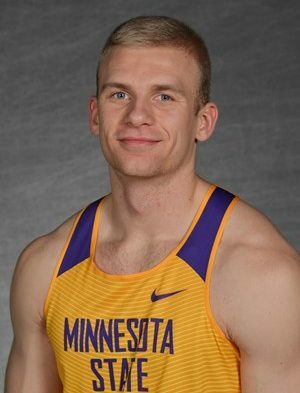 In this week’s edition of Maverick Spotlight the inSIDER features Calvin Buesgens of Chaska, Minn., a Senior on the MSU Men’s Track & Field team. Buesgens is truly the jack of all trades in the sport of Track & Field, he has thrown discus, shot put, and javelin while also participating in high jump, pole vault, and various sprinting events. Let’s get to know Calvin better. Thank you Calvin for taking the time out to answer the questions for Athlete Spotlight. 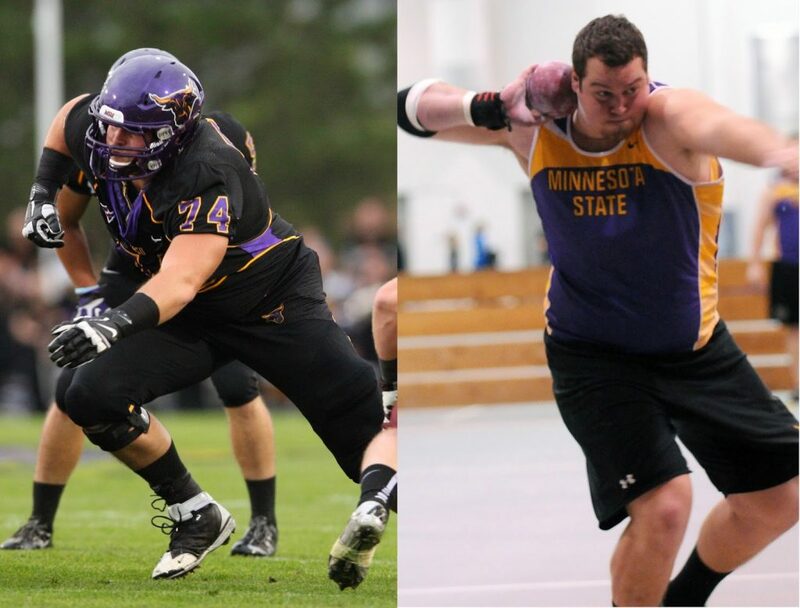 If you know of an athlete or are an athlete that would like to be featured, please send an email to Alexander.baumann@mnsu.edu. 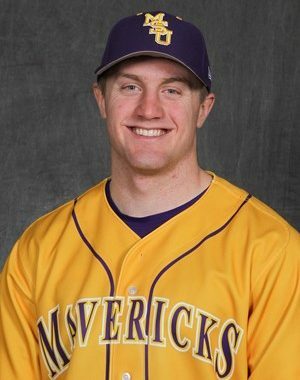 In this week’s edition of Maverick Spotlight, the inSIDER features Teddy Petersen. Petersen is a Junior on the MSU Baseball team. 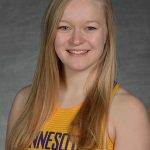 Petersen is from Glencoe, Minn. Some of Petersen’s accolades include being named to the 2018 All-NSIC Second Team, the 2018 NSIC Gold Glove Team, and the NSIC Spring All-Academic Team. Let’s get to know Teddy a little better. People not putting their dishes in the dishwasher. I’d find a dog to be my pet so I could have a close companion and someone to talk to. I asked a girl out my sophomore year of high school by attaching a note to a mechanical pig. Thankfully she said yes and we are still dating to this day. I’ve caught a foul ball at a Twins game. Pay off my parents’ mortgage. My favorite place on campus is the cafeteria but I cherish all the relationships and memories I’ve made over the last three years here. Thank you Teddy for taking the time to answer the questions for this week’s Athlete Spotlight. If you are an athlete or know of an athlete who should be featured in this weekly segment, be sure to send an email to Alexander.baumann@mnsu.edu.